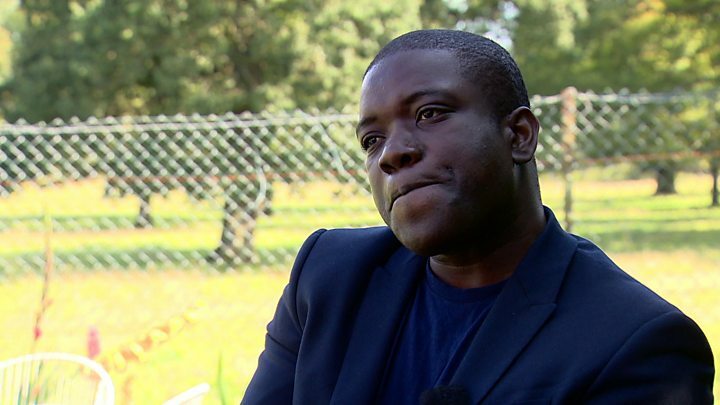 Politicians from all parties have put their names to a campaign to stop the deportation of former trader Kweku Adoboli. The ex-UBS banker - who was convicted of a £1.4bn fraud in 2012 - is currently being held at Dungavel detention centre in South Lanarkshire. The Home Office is planning to deport Mr Adoboli, who had been staying in Livingston prior to his detention. Nearly 100 MPs and 18 MSPs have signed a letter opposing his deportation. The open letter, to Home Secretary Sajid Javid, from Livingston MP Hannah Bardell has also been copied to the Prime Minister Theresa May. Those backing Mr Adoboli include Keith Vaz, Harriet Harman, Mhairi Black and Kezia Dugdale. Ms Bardell's letter said: "If Mr Adoboli were deported, he will be removed from the country he has called home since the age of 12, taken away from the close relationships he has formed here and returned to a country he has not lived in from the age of four and lacks familiarity with." She continued: "The recent comment by former home secretary, Amber Rudd MP, that 'the Home Office has become too concerned with policy and strategy and sometimes loses sight of the individual is apt in this case and we are sure no one in the Cabinet wishes to have another 'Windrush Generation' scandal on their hands anytime soon." Stating Mr Adoboli's case the MP said: "Having served his custodial sentence, he is using his experiences and expertise to make a highly positive contribution to society. He has undertaken extensive work to improve governance and compliance in the finance industry with the Universities of Edinburgh, Stirling and Liverpool and the Financial Times." Kweku Adoboli was detained when attending a monthly check-in at Livingston police station nine days ago. It is believed the Home Office indicated its intention to deport him to Ghana on or soon after 10 September. Mr Adoboli was released from prison in 2015 after serving four years of a seven-year sentence for the £1.4bn fraud at Swiss bank UBS. Foreign nationals sentenced to more than four years are automatically considered for deportation. But in an interview with the BBC the weeks before his detention, Mr Adoboli accused UK authorities of racism. Mr Adoboli is Ghanaian, but has lived in the UK since the age of 12. A Home Office spokesperson told the BBC that while the UK government did not comment on specific cases, "all foreign nationals who are given a custodial sentence will be considered for removal." The politicians supporting the former trader argue that he poses no threat to the country and is helping others understand the systemic risk still posed by the financial sector.